The last time we had a rant on the TORQ website it was about last year’s Panorama program. If you take the time to read the article, it wasn’t so much a rant at the BBC, because we think they actually did rather a good job on the subject, it was more of a displeasure (and agreement with Panorama) that the major manufacturers of ready-to-drink energy drinks are targeting an irrelevant population and selling their wares to a supermarket audience who don’t need their products. The reason for writing now is to highlight a growing problem with a particular product in the Sports/Performance Nutrition industry where we at TORQ feel that the public are being grossly misled into buying a product that offers a fraction of the benefits they think it does. 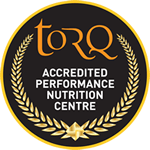 Suffice to say that TORQ don’t produce such a product even though we could do so quite easily (and make a fair few quid along the way), but we hope that this article further confirms to you, our loyal customer base, that we’re here for the long haul and that we only produce performance nutrition solutions with credibility and integrity. We will never sell you something that you don’t need and we absolutely refuse to rip you off. It’s difficult to criticise a product that has become so immensely popular with the public and which is purchased by the barrow load nationwide, but we’re going to. This isn’t for sensationalist reasons either – what’s the point? As alluded to above, if we didn’t have our scruples it would actually be much easier just to keep quiet, produce our own electrolyte tab and get on the bandwagon. The simple intention of this article is to bring home to roost a few truths that need to be spelt out to a public who deserve to fully understand the principles of sports/performance nutrition and what they should be spending their money on. We have worked with numerous athletes at a very high level who have needed to be carefully guided through the fundamentals of sound sports nutrition and although it seems straight forward to us at TORQ, we know that it’s considered a minefield by everyday athletes and physically active people. What hope have the energy product-using public got in an industry that’s increasingly becoming corrupt and sending out misleading messages? Our hope is that this article goes some way toward dispelling many of these myths and helps you to make the correct logical choices moving forward. At the end of the day, you can read further into this, ask pertinent questions of the brand that’s selling you your products and ultimately make your own decisions. We’re just going to tell you the facts. 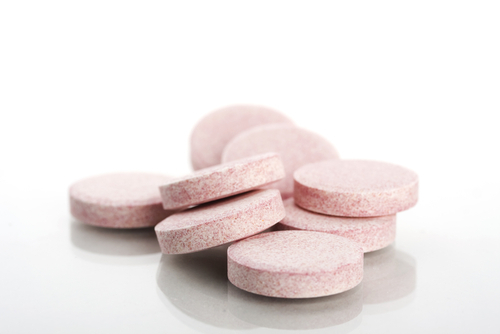 What is an electrolyte tablet? Also expect some flavouring, an artificial sweetener of some kind and probably some colours. This sweetener will not be a carbohydrate, it will be a calorie-less artificial sweetener like sucralose and probably chemical in nature like aspartame or acesulfame-k. Sometimes the sweetener is hidden, perhaps pretending to look like an electrolyte and will be called ‘acesulfame potassium’. 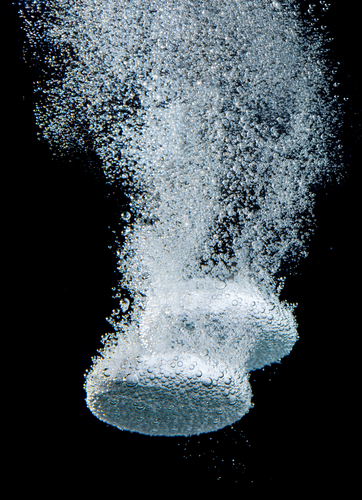 One of the main ingredients will be Sodium Bicarbonate to help the tablet to effervesce. This is not needed in an energy drink mix and is unnecessary, so you won’t see it on any energy drink ingredients listing. At around £7 for a tube of 20 tabs, these will cost you about £0.35 per tablet. All of these electrolyte tabs are marketed as having either zero or trace calories. Manufacturers make no bones about the fact that these tablets are intended for electrolyte replacement, so there isn’t an obvious miss-sell there, but it’s the underlying absence of education surrounding the products and what they’re actually supposed to do is where we believe the public are grossly mislead. 1) Hydration: The supply of water and electrolytes. 2)Fuelling: The supply of carbohydrate. You will notice immediately that in the absence of carbohydrate, an electrolyte tablet will only service your hydration needs, but not fuelling. 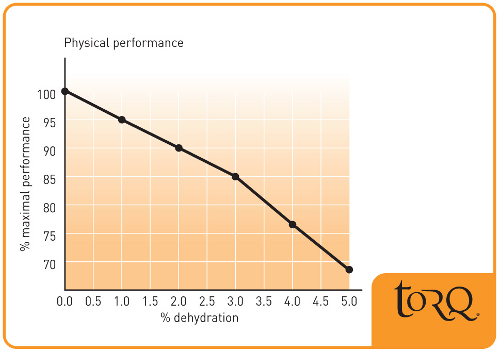 The diagram below shows the importance of hydration with regard to athletic performance and this isn’t in question. For every 1% of bodyweight an athlete loses through dehydration, they get a 5% drop in physiological function. 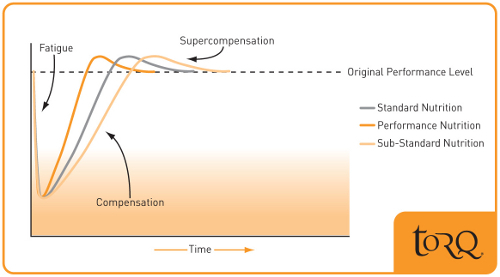 Diagram adapted from Saltin and Costil (1988). Recent research highlighted by the ACSM in 2007 has confirmed that the dehydration model isn’t quite as simplified as this, but we will cover dehydration separately in a future article. Without question however, maintaining adequate hydration is vitally important and an electrolyte tablet will perform this job, but what about the part that’s missing? How important is fuelling? Well, if fuelling wasn’t important, we wouldn’t have an energy gel or energy bar market in the sports/performance nutrition sector? Energy gels and bars are designed to be used as a concentrated fuel source during exercise and just as the research supports the benefits of hydrating properly, it also supports fuelling. As you read on, you’ll learn how important fuelling is from a performance perspective and also how to integrate a fuelling strategy. It may be that you continue to use electrolyte tablets for hydration and take your carbohydrate on separately through energy bars and gels, but we think that when you realise how many bars and gels you’re going to need to consume to fuel properly, you’ll be open to our other suggestions. 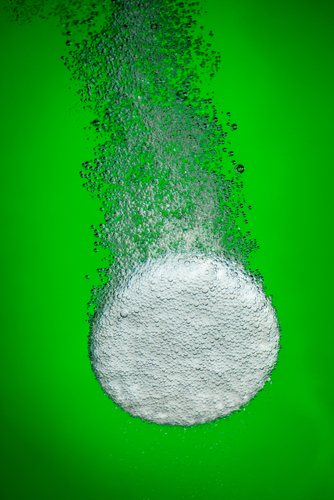 There are various reasons why we don’t agree with the growth of the electrolyte tablet market as you’ll discover, but by far the largest is that your average punter believes that plonking a tablet into 500ml of water every now and then along with the occasional snack is the answer to their sports nutrition needs, which fundamentally they are not. They have just spent £7 on a tube of tablets with no calories in them! Carbohydrate is a huge limiting factor to human endurance performance. Fat is in plentiful supply on most people’s bodies (including the skinny people), but carbohydrate is held in limited supply as muscle and liver glycogen. When this glycogen runs out, which is usually after about 1 to 1.5 hours of heavy exercise, your pace dramatically nosedives. This is called ‘Bonking’ in cycling, or ‘The Knock’ if you’re Irish. Marathon runners call it ‘Hitting the Wall’. Most people can relate to the idea of ‘Bonking’ on a long bike ride, probably because it’s happened to them in the past (and hopefully they’ve learnt from it), but a lot of physically active individuals don’t realise how their glycogen stores can get damaged and depleted over a few days of training, even if the sessions are relatively short. Session 1 for instance will deplete your carbohydrate stores perhaps 50%, session 2 another 50% and then by session 3 you’ve bonked! Bonking in this case takes place over a series of days, but it’s still bonking and your performance will be pitiful once it’s occurred. You can therefore understand how fuelling through sessions 1 and 2 will help reduce the damage to your carbohydrate stores and allow a sharper performance on session 3. Carbohydrate fuelling on a daily basis is slowing down the degradation of your vital glycogen stores. Just as a reminder in case you’ve been mislead in the past – electrolyte tablets do NOT contain carbohydrate and are not designed to fuel performance. To help explain the point above, take a look at the diagram below. It illustrates the fundamental concept of training theory. If you consider the vertical axis to be your ‘energy level’ and the horizontal axis to be ‘time’, Phase I shows the fatigue induced by a training session. 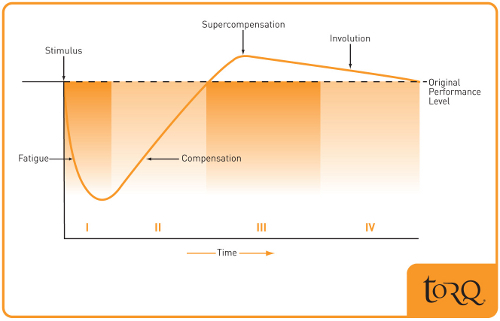 Phase II demonstrates the body recovering and Phase III indicates an over-energised state, where the body has actually over-recovered (stronger than it was before the training session). Phase IV shows a regression of form as the over-energising wears off. The next diagram shows how the compensation (recovery) from a training session can be enhanced with proper performance nutrition. In this context ‘Performance Nutrition’ involves proper pro-active fuelling whilst exercising, a recovery drink immediately afterwards and a generally carbohydrate-rich diet between training sessions. The last diagram demonstrates how a well-fuelled and recovered athlete can generate a larger fatigue stimulus and drive stronger adaptation. Stronger adaptation means higher levels of fitness. If you combine the messages from the diagram above and below, hopefully you really get to understand how important the calories you consume during and after exercise are. Sorry to sound like a stuck record, but remember that electrolyte tablets contain nothing other than trace calories, if any at all (they do contain electrolytes of course, but have no calorific value). Carbohydrate fuelling drives performance and adaptation, so athletes using electrolyte tablets without an additional source of fuel to complement it are chronically holding back their performance. We’ve hopefully established that fuelling is as important as hydration for optimal endurance performance, so what’s the best way to comprehensively cover both bases? I don’t know if you saw this coming, but an energy drink would be quite a good choice! A proper isotonic energy drink like TORQ energy contains 6% carbohydrate as well as containing all 5 electrolytes at research recommended levels (it’s basically an electrolyte tablet with carbohydrate in it, but without the additional sweeteners etc). 6% carbohydrate means 60 grams of carbohydrate per litre, or 30 grams per 500ml bottle. A TORQ gel contains 30 grams of carbohydrate too and so does a TORQ bar. We’ll use an example of a 3-hour endurance ride, because this is conservatively the amount of time you’d expect your cycling enthusiast to spend on his/her bike on a Sunday ride. Here’s a basic price list showing typical prices for the fuelling/hydration components. For the avoidance of confusion, we have not included energy bars and have just listed electrolyte tabs, gels and TORQ’s energy drink. The reason we have listed 2 gels is to indicate that quite a few gels on the market only contain around 20g of carbohydrate, so although they may initially look like good value, this isn’t necessarily the case, because you need to consume more of them per hour. This becomes especially relevant when using them in conjunction with an electrolyte tablet. Gels that contain monstrous amounts of carbohydrate (up to 60 grams in one hit) have not been included, because these are fundamentally flawed in our opinion. This is far too much carbohydrate to process in one hit – it’s an hour’s worth, so is highly likely to sit on your stomach and cause absorption problems. Over a 3 hour ride, the costs spiral up to £9.90, £11.85 and £6.03 respectively. You’ll notice that using an energy drink instead of an electrolyte tablet almost halves the expense. Over a 3 hour ride, the costs spiral up to £10.80, £12.90 and £3.36 respectively. Suddenly the non-energy drink solutions are starting to look pretty expensive. Consider a 5-hour bike ride in these weather conditions and the costs of fuelling and hydration become highly significant using electrolyte tabs at £18, £21.50 and £5.60 respectively. Now consider a very cold day where perspiration rates are minimal. It is under these conditions where the cost of using electrolyte tablets is almost comparable to not using them, because fuelling has to come entirely from gels anyway (you’re hardly drinking anything). Isn’t that interesting when you consider that the whole purpose of using them is to hydrate – so the cost is only close to being comparable when you don’t need them? Of course, in these conditions, why not just go out and ride your bike with water in your bottle – it’ll save you £0.35 per 500ml, because you certainly won’t be requiring electrolytes. A strong mix of energy drink at 9% or above in these weather conditions will save you lots of money though. Please contact us at TORQ if you’d like to discuss this option and we’ll talk you through it. It requires a mixture of our naturally flavoured energy drink and our natural organic option. To conclude this section, we maintain that the cost of using electrolyte tablets for hydration has very little to do with the cost of the tablet itself, it’s more to do with what the tablet is not giving you. Bizarrely, even if the electrolyte tablets were free, it’s the cost of having to purchase your other forms of carbohydrate that are missing from the tab that makes it cost prohibitive. Doesn’t that make using them seem a nonsense? There are clearly arguments from both camps, but whilst it remains a controversial subject, TORQ are steering clear of artificial sweeteners. We encourage you to conduct your own research, however, and reach your own conclusions on the subject. Aside from the health arguments, there are a couple of other reasons why we don’t want to use artificial sweeteners at TORQ. One of the key fundamental principles of performance nutrition is rapid absorption, so we strip our fuelling products back to absolute simplicity on the principle that ‘if it doesn’t need to be in there, don’t put it in’. When the body is under physiological stress from exercise, we believe that the product the person is consuming needs to be as pure as possible. This is why we don’t use colours, even natural ones. We also don’t add vitamins or any complex nutrients, because these are the kinds of ingredients that should be consumed after exercise (in a recovery drink), not whilst under physiological stress. 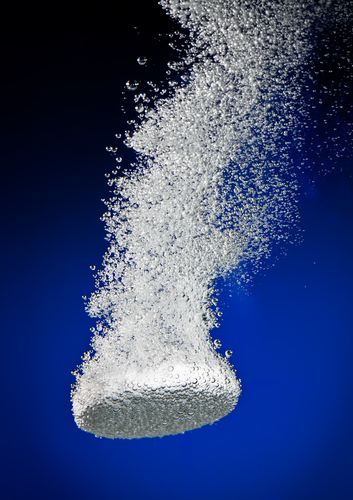 An artificial sweetener, whether it’s aspartame, acesulfame-k or sucralose cannot be broken down by the body and is something else unnecessary for the athlete to deal with, so health issues aside, why use them? I want to lose weight, so don’t want to be consuming excess calories whilst I exercise? * The gym-goer who exercises 3 times per week for an hour each time for weight management purposes: This person has got a genuine reason not to fuel during exercise, because they are trying to create a negative energy balance and due to their relatively low training load, their diet outside of exercise is sufficient to help them to recover in time for their next session. However, they do not need an electrolyte tablet. Regardless of how hard they have exercised, the infrequency of their exercise bouts means that their diet will be perfectly sufficient to return electrolyte levels to normal relatively quickly. They are not at risk of hyponatraemia (water intoxication as a result of low electrolyte levels) and quite probably they are exercising for health as well as weight management, so could do without the extra salt. The solution – drink water, it’s cheaper and healthier. The risks associated with excessive sodium (electrolyte) intake and cardiovascular health are well documented (18,19) and has been headline news again in the last few weeks. If you’re not sweating heavily for a sustained period of time, why would you want to raise your blood sodium levels by consuming an electrolyte tablet? If you want to adapt and become a stronger athlete, you have to fuel your performance and this means consuming carbohydrate calories whilst you exercise and ingesting a recovery drink containing carbohydrate and protein immediately after exercise. These are extremely well timed calories that have relevance to your performance. You can then lose less relevant calories from your diet if you want to achieve a negative energy balance. Remember that as long as your ‘daily’ calorie consumption is less than the calories you’re pushing out through BMR + exercise, you’ll lose weight. For example, for a sensible 500kCal per day deficit, your BMR could be 1500 kCals (it’ll be between 1200 and 2000 depending on your size). If your exercise and daily activity adds another 3000 kCals onto this, your total calorie output is 4500 kCals. If you consume 4000 kCals per day in total, but ensure that you fuel your exercise properly, you WILL lose weight. There are further benefits too. If you’re fuelling adaptation and performance, you’ll get stronger, fitter and faster. You’ll have a higher capacity for calorie burning exercise and you’ll recover quicker. You’ll also increase your lean muscle mass, which in turn will have a direct effect on your BMR, so it’s all a really positive cycle of events. Do you think you’ll be able to achieve any of this by consuming zero calories during exercise? Drive your fitness forward with a sensible calorie deficit and well-timed nutrition and you’ll lose weight. * The gym goer who trains most days for a maximum of an hour per day who wants to lose body fat: This person is sat somewhere between the athlete and the irregular gym goer and the answer is simple. If the gym goer wants to drive fitness forward and lose weight by applying him/herself to each of the sessions he/she does, they should consider themselves an athlete and fuel their performance. If the exercise on the other hand is of very low intensity and the ‘driving fitness forward’ isn’t a huge goal for them, although we’d argue that their exercise sessions aren’t best spent, they don’t really need to fuel their performance if their carbohydrate stores aren’t going to be taking much of a hammering. They don’t need electrolytes either. The bottom line is that if someone’s exercising hard enough to need electrolytes, they’re exercising hard enough to need carbohydrate. It’s a simple rule. Doesn’t my fat burning ability increase when using an electrolyte tablet? This is a very recognisable sales pitch driven by companies producing electrolyte tablets and one that again is confusing? The rationale is that if you can encourage your body to use fat as a fuel in preference to carbohydrate, your stored carbohydrate will last longer in competition and you’ll delay the onset of bonking. This seems to make perfect sense until you start to look at the situation holistically. Some manufacturers of these electrolyte products claim that their electrolyte tabs increase fat burning by some quite large percentages compared to training with an energy drink. This increase in fat burning through the use of an electrolyte only drink compared to a carbohydrate rich drink is absolutely correct, but this increase does not come through a magical effect of electrolytes or anything in the ingredients listings of these products, it simply comes down to the fact that they are calorie-free, and do not contain carbohydrate. The body in this instance has no option but to have a greater reliance on fat as a fuel and the same can be achieved through consuming just water, so if you buy into this pitch, why not just do that? Drink water. Some of the research looking into the effects of training without carbohydrate has found evidence of metabolic enhancements (6,7,8) through training without carbohydrate, although when this theory has been tested in more realistic, real world scenarios there has been no clear evidence that this translates into a significant performance benefit (9,10,11). Any metabolic enhancement was greatly outweighed by the benefits of fuelling properly in endurance situations and this is further compounded by the fact that in order to be able to properly utilise carbohydrate during competition, it is important to practice your fuelling strategy during training. The gut is a trainable organ, like any part of your body, so this practice is essential to help prevent any stomach upset and ensure the gut is able to cope with a high carbohydrate intake when it really matters. Training without carbohydrate will obviously prevent these adaptations from occurring, leaving you more at risk of not being able to cope during competition. There are also a number of performance issues associated with training without proper fuelling, many of which have been covered earlier on. A carbohydrate-starved athlete isn’t motivated, has a higher rating of perceived exertion for a given intensity and doesn’t have the capacity to train as hard and achieve the adaptation necessary for proper improvements in performance. There is also evidence that fuelling without carbohydrate during training can cause the body to switch over to utilising more fat as a fuel at the expense of its ability to use carbohydrate, which results in a reduction in the ability to perform high intensity exercise – a situation where carbohydrate is the predominant fuel (12,13). It’s also commonly recognised that endurance exercise causes a sizeable suppression of the body’s immune system, leaving you as an athlete at a greater risk of illness and infection. Research has proven that this is even more the case when exercising in a carbohydrate-depleted state and consuming 30-60grams of carbohydrate per hour during exercise has been shown to be the most effective way of preventing this immune suppression (14). It also reduces the risk of overtraining (15). Then there are the issues surrounding gluconeogenesis in carbohydrate-starved athletes. Gluconeogenesis essentially describes the process of breaking down muscle protein and converting it to carbohydrate to fuel performance. Carbohydrate fuelling during exercise is often referred to as a ‘muscle protector’ because it actually prevents the breakdown of your hard-earned muscle mass by discouraging gluconeogenesis. If you’re using electrolyte tablets in isolation without carbohydrate, gluconeogenesis is exactly what’s happening to you and it doesn’t seem to make a lot of sense from a performance perspective? As well as limiting fitness gains, holding back on carbohydrate intake during exercise will actually damage your muscles (16). We believe that there’s a mountain of evidence to suggest that restricting carbohydrate calorie intake during exercise is not a good thing to do and even there was evidence to the contrary, an electrolyte tablet will help you no more than water would. I get stomach problems when I use energy products? 1)The fluid/carbohydrate balance: We’ve already separated hydration and fuelling and explained that they need to be considered as different entities. A lot of stomach problems with energy products prevail because the user doesn’t keep tabs on how much they’re consuming. Imagine drinking a litre of isotonic energy drink per hour on a hot day and then have the misguided belief that a gel will help you further? With most energy product formulations, you’re at your limit at 60 grams of carbohydrate per hour, which you’re receiving through your litre of energy drink, so the extra 20 or 30 grams you consume through a gel will take you over your tolerance limit. If you can’t absorb that extra 20 or 30 grams, you’re going to get stomach problems. You’ve got to remember with energy products that when you’re drinking a lot, you eat less and vice versa (in cooler weather you’ll need to eat more if your drinking less). Take a look at www.torqfitness.co.uk/torq-fuelling-system and you’ll see how straight forward it can be to get the fuelling/hydration balance right using energy products. 2)The types of carbohydrate: We’ve just mentioned that most energy product formulations only allow you to absorb and use 60 grams of carbohydrate per hour. This is because 60 grams per hour is the absorption ceiling for energy products based on glucose derivatives, which most are. Recent research has proven that combining Maltodextrin (a highly effective glucose derivative) with fructose at a 2:1 ratio improves carbohydrate absorption and oxidation by 40% which is nothing short of staggering (1,2,3). Again, take a look at www.torqfitness.co.uk/torq-fuelling-system for further explanation, but in short this means that a product like TORQ which uses this technology facilitates absorption rates as high as 90 grams of carbohydrate per hour. There are a number of significant benefits related to this higher absorption and oxidation of carbohydrate, which are explained in the link above, but higher absorption rates mean that products utilising this research leave the intestine quickly and don’t have time to cause gastro-intestinal problems. Also, if you’re taking on board 60 grams of carbohydrate per hour using 2:1 Maltodextrin:Fructose, you’re 30 grams short of your tolerance limit, giving you a considerable margin for error should you over-consume. Of course there are significant benefits to be gained from consuming 90 grams of carbohydrate per hour, but by consuming 60 grams of fast-delivery maltodextrin:fructose you’re still receiving considerable fuelling benefits whilst eradicating the risk of gastro-intestinal issues. 3)Energy products that aren’t actually energy products: Unfortunately the energy product market isn’t regulated, so there’s nothing stopping a passionless marketing-driven company from establishing itself. Energy bars coated in chocolate or yoghurt are a lie. The same goes for bars with chocolate chips in or nuts, because these raise the fat content of the product to levels that will affect the absorption of carbohydrate dramatically and slow its movement through the gut. The same goes for ‘normal’ high fat foods that are eaten prior to or during exercise. If you stop at a cafe half way through a training ride and eat a cheese sandwich, any energy food and drink you consume afterwards will sit on top of it. It doesn’t a matter how good the products are, the cheese will act like a cork and dramatically reduce carbohydrate absorption. Will you have gastro-intestinal problems? You bet. 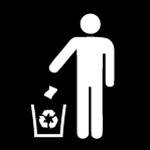 Quality energy products can therefore get a bad reputation through no fault of their own. Some companies make unsubstantiated claims about the amount of carbohydrate one can consume per hour using their products, which again will necessarily lead to gastro-intestinal upset if their guidelines are followed, because it’s impossible to absorb that much. Any claims made by manufacturers MUST be backed up and substantiated by peer-reviewed research that’s published in a reputable scientific journal, or it’s just fiction. 4)Ingredients that aren’t needed in energy products: Aside from fat, all sorts of irrelevant ingredients seem to creep into energy products, either to enhance flavour and appearance (fat, artificial flavours, colours and sweeteners) or to add something ‘special’ to create a USP. This was touched on in the earlier section on artificial sweeteners and it seems that companies, whilst trying to create a USP to lure the consumer in to buying, miss the fundamentals of performance nutrition once again. By trying to market their ‘special’ additive, or by colouring it and trying too hard to make it appeal to their customer, they miss the basic principles of fuelling and hydration. However impressive their special ingredients might be and however luxurious the chocolate coating tastes or however sweet they make the product, the body needs to absorb what’s being put into it. That’s where 99% of the benefits come from! This is why TORQ’s fuelling products are deliberately simple and pure. Yes, we utilise the latest peer-reviewed published research to optimise the products, but they’re simple and contain only what’s needed. We produce some great flavours options using natural flavours, but everything else is stripped away and we save all the complex clever ingredients for inclusion in our recovery drink – to be consumed at a time when the body is not under exercise stress. 5)The gut is a trainable organ: As mentioned earlier, your gut needs practice in taking on board high levels of energy products, especially when you’re close to your tolerance levels, so if you don’t train with them, you could experience difficulties when you push the limits during competition. If you’re not pushing close to your tolerance levels (60 grams per hour for glucose derivatives/90 grams per hour for Maltodextrin:Fructose), this is unlikely to be the issue – it will be one of the four points discussed before this one. This is a small point and not one that we feel necessitates dwelling on, but recent research (17) has measured small performance benefits compared to water in subjects who have rinsed a carbohydrate solution through their mouths and not ingested it. This is thought to be as a result of a combination of the stimulation of carbohydrate receptors in the mouth and absorption of carbohydrate into the blood directly through the mouth. These performance benefits are unrelated to sweetness, because trials have shown benefits using non-sweet carbohydrate solutions. Suffice to say that these benefits, however small would not be possible through a carbohydrate-free drink made from an electrolyte tablet. We look forward to reading further research in this area. There must be some situations where electrolyte tablets are beneficial? So, you might have gathered that TORQ don’t have a very high opinion of electrolyte tablets? We’ve spent some time contemplating situations where the use of such a tablet would be valid from a performance perspective and have come up with a few, which are listed below. However, our biggest gripe is how these tablets are marketed and whom they are sold to – and the point of this article is to give you, the consumer the whole truth and nothing but the truth so that you can make clearer decisions in the future. * As part of a fuelling/hydration strategy: As discussed earlier, their is a perfectly valid use for an electrolyte tablet if you’re prepared to address your fuelling separately by consuming energy bars/gels/other high carbohydrate food with them. If this is your preference there is nothing wrong with that, but expect your strategy to be expensive and note that you will have to consume artificial sweeteners. 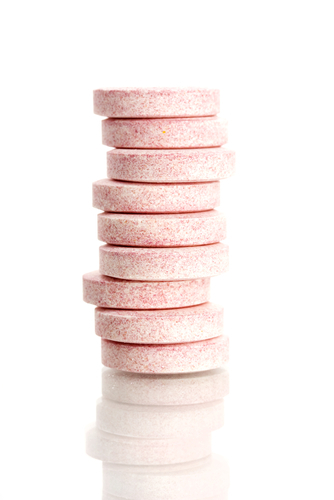 Our main issue is that most people don’t realise how much they need to eat with these tablets and the expense involved. * If used in an environment of extreme heat where perspiration rates are high, but exercise intensity is very low: When exercise intensity is very low, you don’t need additional carbohydrate and you can just get away with eating normal food. If the weather is very hot though and perspiration rates are very high, you’re going to lose a lot of fluid and electrolytes, so the electrolyte tablet would be a very valid choice. Consider playing a long chess game in the desert for instance and you’ve got a valid use for an electrolyte tablet dissolved in water.  We could stretch the validity to perhaps hiking in the desert, but that’s as far as it goes and haven’t salt tablets been around for years – and completely free from sweeteners and marketing? I think you’ll agree that both the above example situations are quite rare (especially in the UK where this article is being written) so they are hardly justification for the prevalence of such products flooding the marketplace. Sailing or motor racing makes some sense, although these sports are verging on the edge of the participants needing at least some carbohydrate, but this doesn’t explain why these products are so widely available in cycling shops and being marketed to IronMan Triathletes? * Specialist sweat testing services: There are some specialist companies who prescribe an electrolyte tablet to a person on the basis that it is designed to be added to an energy drink to boost the electrolyte content after the individual completed a sweat test. This test will determine the rate at which the individual loses electrolytes and if this is deemed to be higher than average, the issue of an unflavoured salt tablet to boost energy drink electrolyte levels is perfectly valid. Electrolytes can also be added in a concentrated fluid form in some cases too. Bear in mind that the justification of the use of such a tablet comes off the back of a scientific test, so this is certainly not an off-the-shelf product. The electrolyte tablets we’re referring to during this article are very much available everywhere without prescription. 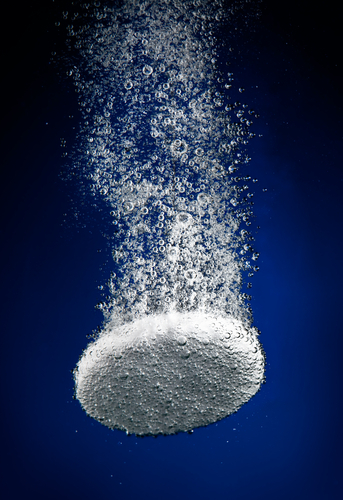 Our intention as always at TORQ is to give you the facts and we’ve written this article because we feel that electrolyte tablets are hugely misunderstood. As mentioned at the outset, we could release one into the marketplace tomorrow, but we absolutely refuse to do this (at least not until we have a specialist sweat-testing service available at TORQ). If you use electrolyte tablets currently, by all means show this article to your supplier and see what they have to say for themselves? In the meantime, hopefully we’ve convinced you to spend your hard-earned cash on an energy drink powder instead. If you have any questions relating to this article or want genuine accurate advice on performance nutrition, please do not hesitate in contacting us. 1.Wallis GA, Rowlands DS, Shaw C, Jentjens RL, Jeukendrup AE (2005). Oxidation of combined ingestion of maltodextrins and fructose during exercise. Med Sci Sports Exerc. Mar;37(3):426-32. 2. Jeukendrup AE, Moseley L (2010).Multiple transportable carbohydrates enhance gastric emptying and fluid delivery. Scand J Med Sci Sports. Feb;20(1):112-21. 3. Jeukendrup AE (2010). Carbohydrate and exercise performance: the role of multiple transportable carbohydrates. Curr Opin Clin Nutr Metab Care. Jul;13(4):452-7. 4. Rowlands DS, Swift M, Ros M, Green JG (2012). Composite versus single transportable carbohydrate solution enhances race and laboratory cycling performance. Appl Physiol Nutr Metab. Jun;37(3):425-36. Epub 2012 Apr 3. 5. Currell K, Jeukendrup AE (2008). Superior endurance performance with ingestion of multiple transportable carbohydrates. Med Sci Sports Exerc. Feb;40(2):275-81. 6. Hansen AK , Fischer CP , Plomgaard P , Andersen JL , Saltin B , Pedersen BK (2005). Skeletal muscle adaptation: training twice every second day vs. training once daily . J Appl Physiol 2005: 98: 93 – 99. 7. Yeo WK , Paton CD , Garnham AP , Burke LM , Carey AL , Hawley JA (2008). Skeletal muscle adaptation and performance responses to once a day versus twice every second day endurance training regimens . J Appl Physiol: 105 (5): 1462 – 1470 . 8. Hulston CJ , Venables MC , Mann CH , Martin C , Philp A , Baar K , Jeukendrup AE (2010). Training with low muscle glycogen enhances fat metabolism in well-trained cyclists . Med Sci Sports Exerc ; March 25. 9. De Bock et al (2008). Effect of training in the fasted state on metabolic responses during exercise with carbohydrate intake. J Appl Physiol. Apr;104(4):1045-55. 10. Cox et al (2010). Daily training with high carbohydrate availability increases exogenous carbohydrate oxidation during endurance cycling. J Appl Physiol. Jul;109(1):126-34. 11. Akerstrom et al (2009). Glucose ingestion during endurance training does not alter adaptation. J Appl Physiol. Jun;106(6):1771-9. 12. Stellingwerff T , Spriet LL , Watt MJ , Kimber NE , Hargreaves M , Hawley JA , Burke LM (2006). Decreased PDH activation and glycogenolysis during exercise following fat adaptation with carbohydrate restoration . Am J Physiol Endocrinol Metab2006: 290: E380 – E388 . 13. Havermann L , West SJ , Goedecke JH , Macdonald IA , St Clair Gibson A , Noakes TD , Lambert EV (2006). Fat adaptation followed by carbohydrate loading compromises high-intensity sprint performance . J Appl Physiol: 100: 194 – 202. 14. Gleeson M , Nieman DC , Pedersen BK (2004). Exercise, nutrition and immune function . J Sports Sci2004: 22: 115 – 122. 15. Petibois C , Cazorla G , Poortmans JR , Déléris G (2003). Biochemical aspects of overtraining in endurance sports: the metabolism alteration process syndrome . Sports Med: 33: 83 – 94 . 16. Maughan RJ, Fallah J, Coyle EF (2010). The effects of fasting on metabolism and performance. British Journal Sports Medicine. (44) 490-494. 17. Rollo, Ian (2011). Effect of Mouth-Rinsing Carbohydrate Solutions on Endurance Performance. Sports MedicineSports Medicine. 41:6. p.449-461. 18. Cooperative Research Group (1988). Intersalt: an international study of electrolyte excretion and blood pressure. Results for 24 hour urinary sodium and potassium excretion. BMJ. 1988; 297:319-28. 19. Cook NR, Cutler JA, Obarzanek E, et al (2007). Long term effects of dietary sodium reduction on cardiovascular disease outcomes: observational follow-up of the trials of hypertension prevention (TOHP). BMJ. 2007; 334:885-8.